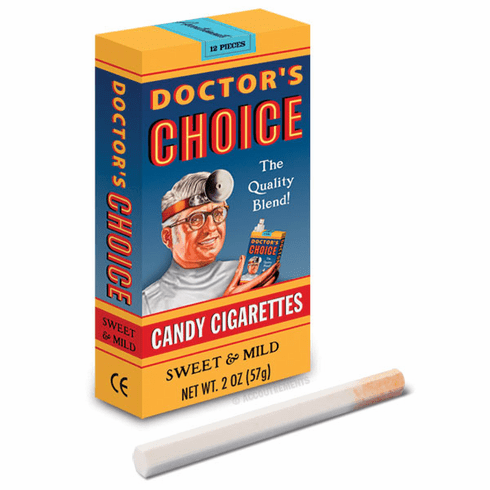 Nine out of ten friendly neighborhood doctors would rather eat these candy cigarettes than smoke real cigarettes. You wouldn't doubt the wisdom of your friendly neighborhood doctor would you? Each 3-7/8" x 2" x 3/4" (9.8 cm x 5.1 cm x 1.9 cm) pack contains twelve 3-1/2" (8.9 cm) long sticks of orange-flavored candy that look somewhat like real cigarettes.